Every iPhone owner at least once in his life wondered how to properly and safely turn off the iPhone. There are several answers to this question. Depending on the smartphone itself and its state, the ways in which you can turn off the device, change and each of them is fully valid and is also absolutely safe for the phone in question. In this article, there will be three options for restarting the apple machine. First, the option of turning off the iPhone will be considered when it is in normal operation, it works properly and responds to all commands. First of all, you need to press and hold the power button of the smartphone until the moment when the large “Shut down” and “Cancel” buttons appear on the screen. After that, you need to touch the display of the iPhone in the left area of ​​the red color button “Turn off”, and then, without taking your finger off the display, hold the said key until the end of its right area. 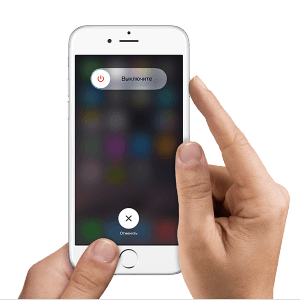 Such a gesture is called "Swipe", and as a result of the done iPhone will start to turn off. To turn on the device again, you need to wait until the screen is completely off, and then click on the “Power” button. This will cause the phone to start up in normal mode. First you need to simultaneously hold down the “Home” and “Power off” keys and hold them down for about 10 seconds. This will help to completely turn off the iPhone. To restart the device, sometimes it is enough just to release the pressed keys, if this does not happen, you need to briefly hold the Shutdown button. The smartphone will start to load normally. The considered method provides the ability to disable and restart the iPhone when a software failure occurs. For the benefit of your own smartphone, it is advised to use this option only when absolutely necessary, it is better to use other options for restarting the apple device. The third, and at the same time, the final method of turning off the iPhone is suitable only if the device is perfectly functioning, and its display does not have any problems, despite the fact that the power button has failed. You can even control the iPhone without using any mechanical buttons. The developers have foreseen the fact that mechanical buttons can sometimes break, so they created a unique control by touching the display. To do this, the subscriber will need to enable a feature called “Assistive Touch”. 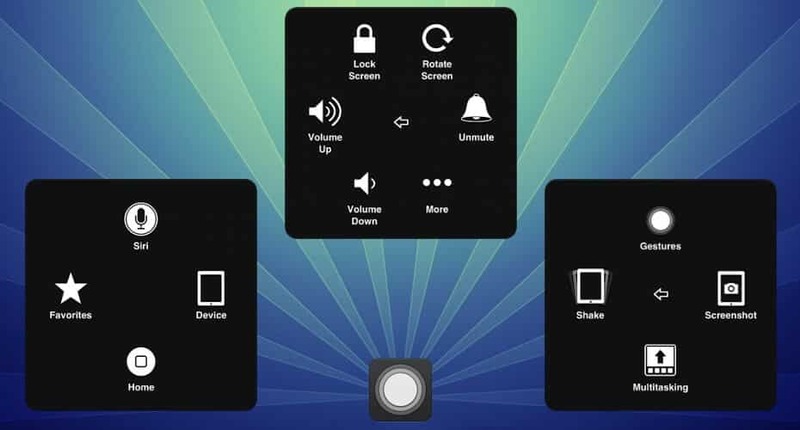 With the help of such a function, you can flexibly customize device control using a variety of gestures, but the “mechanic” is absolutely not necessary for this. First you need to go to the "Settings", then go to the "Basic", and then open the "Universal Access". Then you need to scroll through the page with the settings of universal access to the end, and then among the section "Physiology and Motility" click on the line "Assistive Touch". In the settings window that appears, the slider activation of the function in question must be turned to the on position. On the display of the smartphone appears almost transparent key. Finally, you need to touch the touch screen of the phone, it should be done within the boundaries of the mentioned button. The display will provide you with a window with the available features of the activated service. Click on the menu icon of the previously mentioned program. Among the menus of this service, click on the “Apparatus” icon, then make a long press on the “Screen lock” item. This should cause the “Shut down” keys to appear and also “Cancel”. Subsequent actions should be the same as in the case of a normal power on. Move the finger to the right on the button "Turn off". To restart the device without using the power button, it must be connected to the PC using a USB cable. As a result, the mobile device will start up in normal mode. The methods discussed above provide the ability to completely turn off or restart the iPhone in normal mode when a hangup has occurred, or the power button has failed. 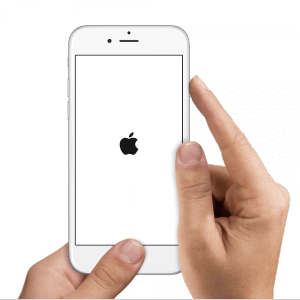 The final method, which involves the use of the Assistive Touch service, allows for incredibly flexible configuration of the smartphone manual using various gestures. That's just for this you need a fully functioning touch panel, and the device should work in an ordinary mode, since the considered function does not work on the “hung” device.